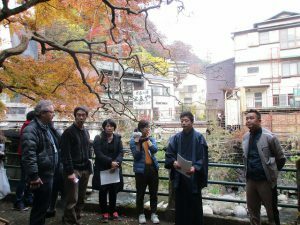 The Hakone Hachiri, as the section of the Edo period (1603-1868) road which leads through Hakone is called, was recognized as Japan Heritage by the Agency for Cultural Affairs in May 2018. 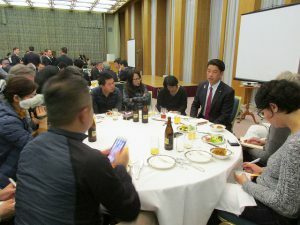 To commemorate this, a press tour for foreign journalists was held on December 3–4. 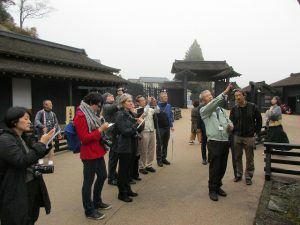 A total of nine journalists from media in countries including France, Hong Kong, Italy, the US, and Vietnam participated in the tour, traveling the old road from Odawara to Mishima and learning about its living history and culture. 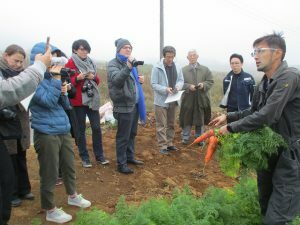 *This press tour was organized by the Hakone Hachiri Kaido Tourism Promotion Association, and planned and operated by Zenkoku Kaido Koryu Kaigi (National Kaido Network) and the FPCJ. 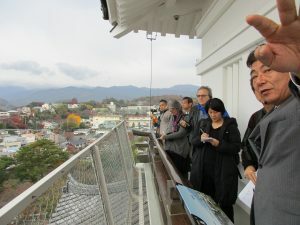 Arriving at Odawara, the journalists saw a birds-eye view of the town from the tower of Odawara Castle, and learned about the historic Tokaido Road and the road through the Hakone mountain pass. 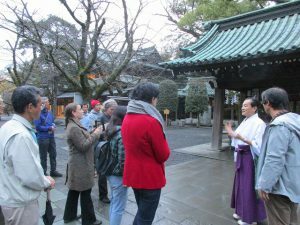 At the Odawara-juku Nariwai Koryukan, the tour listened to lectures on the Hakone Hachiri and traveling in Japan during the Edo period. 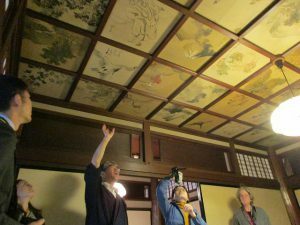 According to Director Koji Tanaka of the Zenkoku Kaido Koryu Kaigi, “Japanese people in the Edo period loved traveling. 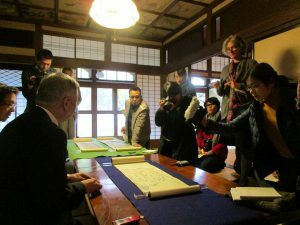 Japan was the only place in the world at that time in which commoners could safely travel great distances without worrying.” Chief Curator Masato Tsuji of the Mishima City Local Cultural Property Office explained that in the 32 kilometer section that the Hakone Hachiri consists of, elements of the Edo period road are still in good condition, such as paving stones, the post stations, and the sekisho (checkpoint), which is not seen anywhere else in Japan. 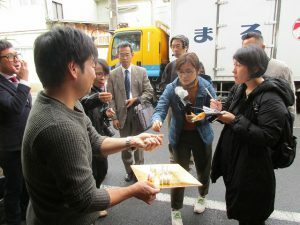 At Odawara Kamaboko Road, the journalists learned about the deep connection between the Hakone Hachiri and Odawara kamaboko (a type of fish loaf/cake), a famous specialty of Odawara, and about efforts by young business owners to help stimulate Kamaboko Road. 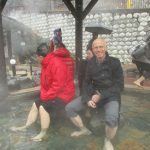 Leaving Odawara behind, the tour next went to Hakone. 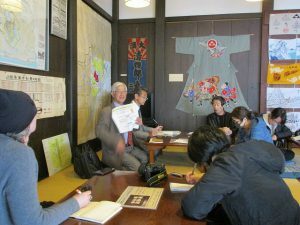 Using Edo-period picture scrolls describing the Hakone hot springs, Hakone Town History Museum Director Yasuhiro Suzuki spoke to the journalists about the history of how Hakone developed from being known for medicinal hot springs to being a hot springs resort. 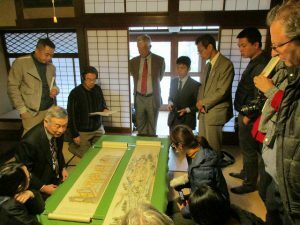 In December 2017, the “Group of Large-scale Wooden Hotel Facilities in Hakone” was chosen as one of the Japan ICOMOS National Committee’s “20 Historical Sites of the 20th Century,” and the tour visited Bansuiro Fukuzumi and Kansuiro. 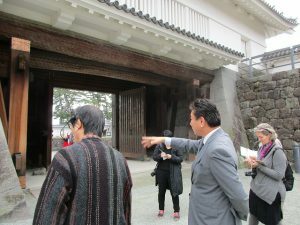 The managers of the two ryokan provided tours of the buildings and explanations of the unique techniques used in their construction. 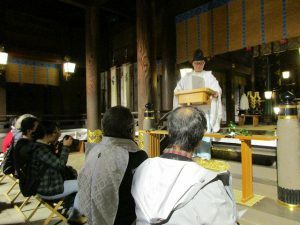 At Hatajuku village, a Hakone Hachiri post station and the home of Hakone yosegi-zaiku, the tour heard from Mr. Ichiro Ishikawa (a certified Dento Kogeishi [traditional artisan]) about the history and techniques of yosegi-zaiku. 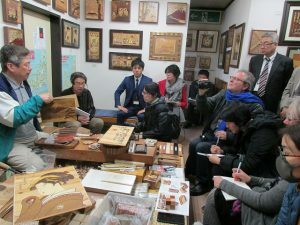 The journalists also spoke with two young artisans about how they are expanding the possibilities of yosegi for the future. 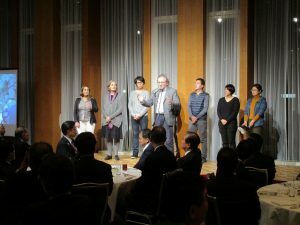 That night, the journalists joined the reception of the Hakone Hachiri Kaido Forum which was being held in the area to discuss promoting tourism of the Hakone Hachiri. 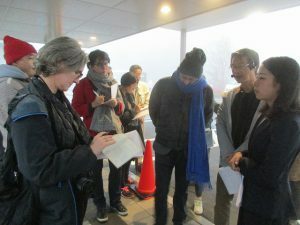 The journalist from an Italian financial paper who spoke as a representative of the press tour commented, “Through the first day of this press tour, I have learned that Hakone is not just a hot springs resort where you can get away from the noise of Tokyo. 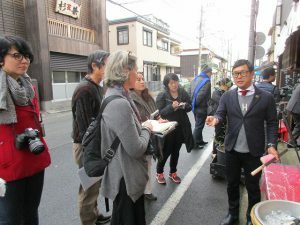 I have experienced the plentiful culture, tradition, and history of the Hakone Hachiri going from Odawara through Hakone to Mishima.” The journalists also interviewed Odawara Mayor Ken’ichi Kato. 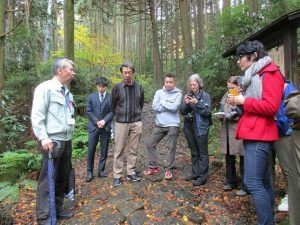 Hakone Sekisho Director Koichi Owada guided the tour along the old Hakone road on the same path the Edo period travelers took from Hatajuku, seeing ichirizuka stone mile markers along the old stone-paved road and the tree-lined avenue by Lake Ashinoko, before ending at the Hakone Sekisho. 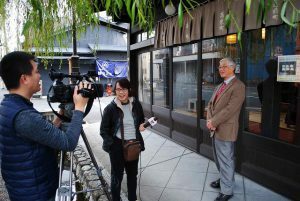 At Hakone Amasake-chaya, which first opened in the early Edo period, the journalists interviewed Mr. Satoshi Yamamoto, the 13th-generation owner, about continuing to provide travelers with comfort and the same flavor as always. 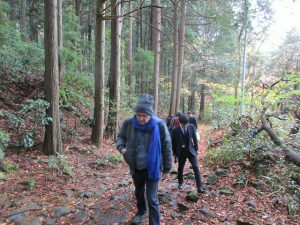 Crossing over Hakone Pass, the group of journalists started down the west slope to Mishima-shuku. 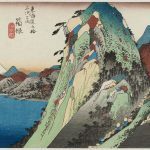 The villages in this area prospered from doing business with travelers, but with the opening of the Tokaido train line the route became less popular, and the villages switched to farming out of necessity. 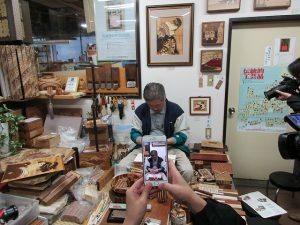 Now, this region has become famous as the home of Hakone Seiroku Mishima Yasai produce brand. 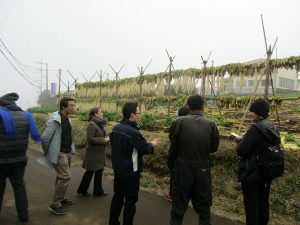 After hearing about the history and development of the villages, the journalists interviewed a producer of this high-quality produce. Next, the tour visited Japan’s longest pedestrian-only suspension bridge, the 400 meter Mishima Skywalk. 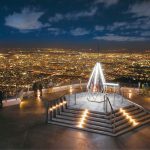 Unfortunately, due to rain it was not possible to see the view of Mt. Fuji from the bridge, but while imagining the mountain in the distance the journalists heard from PR staff about the Skywalk and the role it plays in promoting tourism of the Hakone Hachiri. 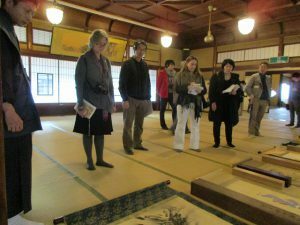 The tour ended with the group visiting Mishima Taisha and experiencing formal worship under the guidance of a priest. 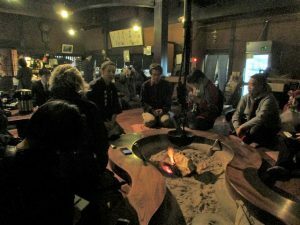 Like Edo-period travelers, the group gave their thanks for successful overcoming the difficulties of the Hakone Hachiri.